Over the last twenty years, the question of whether oral history interviews fall under Institutional Review Board (IRB) review has received widespread attention. Despite a widely publicized memo nearly ten years ago stating that because of the nature of oral history interviews, oral history in general was exempt from IRB review, problems with oral history and IRBs have persisted. Georgia State University has amended its policies at least three times since 2003, most recently in 2010, yet there still exists uncertainty and confusion surrounding the policy. We invite you to a session of the GSU Oral History Roundtable to discuss IRB review on Tuesday, April 2, 12:00, in Special Collections and Archives located on the 8th floor of Library South. 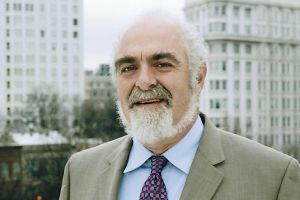 Leading the discussion will be Cliff Kuhn of the Department of History and executive director of the Oral History Association, the national professional organization in the field now based at GSU.